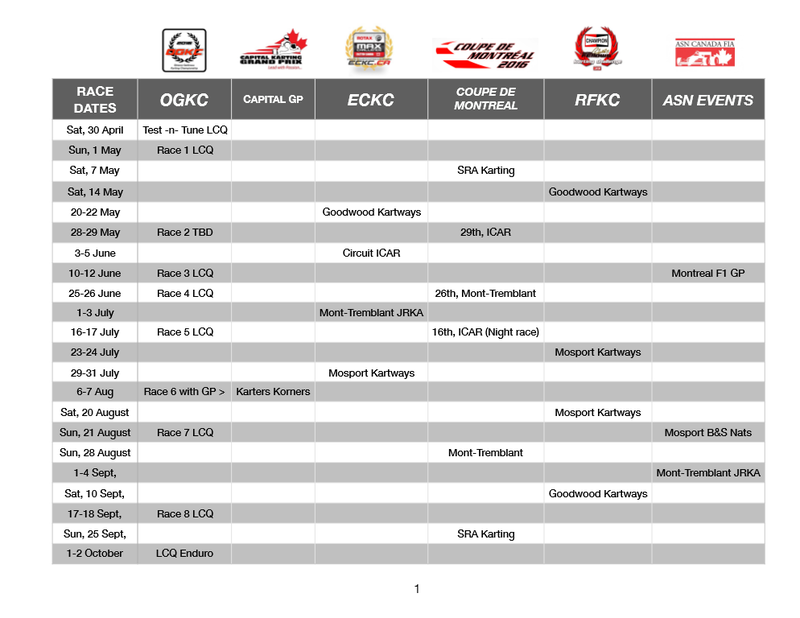 REVISED: 2016 OGKC Scheduled Dates Confirmed! The dates for the 2016 Ottawa-Gatineau Karting Championship have now been confirmed! Please see the table below for race information, as well as details of other regional series dates! Click on the table and print off a copy for your fridge! Are YOU ready to race for the championship?? ?